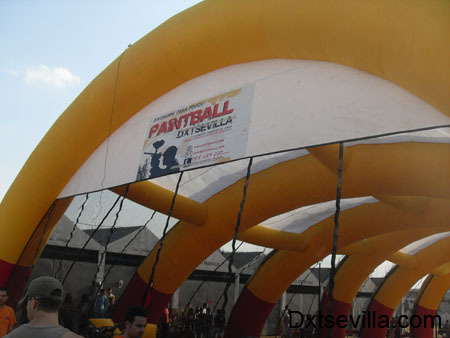 Carpa DxtMovil juanma fotos 709 – Paintball Sevilla, El mayor campo de Andalucia. This entry was posted on Viernes, Octubre 16th, 2009	at 10:52	and is filed under General	. You can follow any responses to this entry through the RSS 2.0	feed. Responses are currently closed, but you can trackback from your own site. © 2019 Paintball Sevilla, El mayor campo de Andalucia.